The Lamborghini Huracan Evo has gone on sale in India. Essentially a facelift program for the Huracan, the new model features several styling changes, improved aerodynamics, and a more powerful engine. It is priced at INR 3.73 crore (ex-showroom, pan-India). The Lamborghini Huracan Evo sports a new set of bumpers, revised rear diffuser and re-positioned twin exhaust pipes. A reworked underbody and an integrated ducktail spoiler improves the aerodynamic performance. Powering the Lamborghini Huracan Evo is a 5.2-litre naturally aspirated V10 engine that has been updated with Titanium intake valves and a new lightweight exhaust system. The revised motor outputs a maximum power of 640 hp at 8,000 rpm and a peak torque of 600 Nm at 6,500 rpm. A dry weight of 1,422 kg leads to a power-to-weight ratio of 450 hp per tonne. As per the company, the new model is capable of accelerating from 0 to 100 km/h in 2.9 seconds and 0-200 km/h in 9.0 seconds. Furthermore, the Huracan Evo is claimed to be capable of braking from 100 km/h to a standstill in just 31.9 meters. As per the manufacturer, the supercar can hit a top speed of 325 km/h. Another highlight of the Lamborghini Huracan Eco is its rear-wheel steering and a torque vectoring system that works on the four wheels. The new model features Lamborghini Dinamica Veicolo Integrata (LDVI), which is a CPU that controls all aspects of the car's dynamic behaviour. The highlight of the interior is the introduction of an 8.4-inch touchscreen infotainment unit that supports Apple CarPlay. The all-new Huracan EVO is much more agile, light and nimble than its predecessor. Lamborghini has gone the extra mile to bring out the best in this new supercar both in terms of design dynamics and technology. The Huracan EVO is certainly an impressive upgrade from the Lamborghini stable. 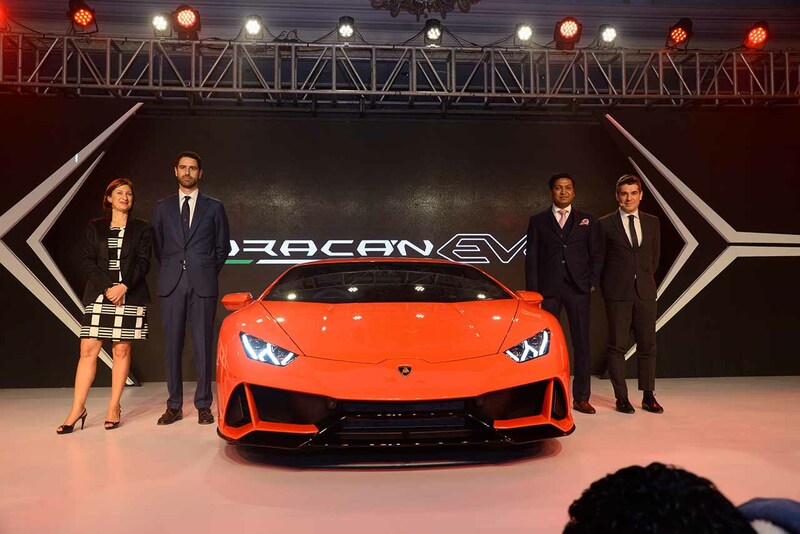 As the customer expectations for the super Luxury cars evolve in India, we have received an overwhelming response and the Huracan EVO will further help establish a stronger connection with the growing number of supercar enthusiasts in the country.